In dental parlance, this is called “compliance.” Compliance with treatment consists of wearing rubber bands as instructed; wearing retainers and aligners as prescribed; keeping brackets and bands on; and keeping braces clean. Patients always leave with extra rubber bands to replace after eating or brushing. The doctor may use rubber bands to achieve movement for all or only part of the treatment. Once the habit is established, rubber bands are no big deal. Another important component of compliance is keeping brackets and bands on the teeth. Modern adhesives firmly cement the brackets to the teeth, but hard foods or objects can knock them off. “If the brackets are not on the teeth, I cannot get the teeth in the ideal position,” Dr. Piper said. The most common culprit on breakage? Fingers. Fingers exert a surprising amount of force. If your child fiddles with their braces, we recommend distraction for busy hands: a Rubik’s cube, a Slinky, a bracelet-maker, even online typing drills. Put that energy to use elsewhere! Patients who brush and floss also have a better result. Failure to brush can result in shadowy, white lines around the places there the brackets were. This condition, known as decalcification, cannot be reversed. 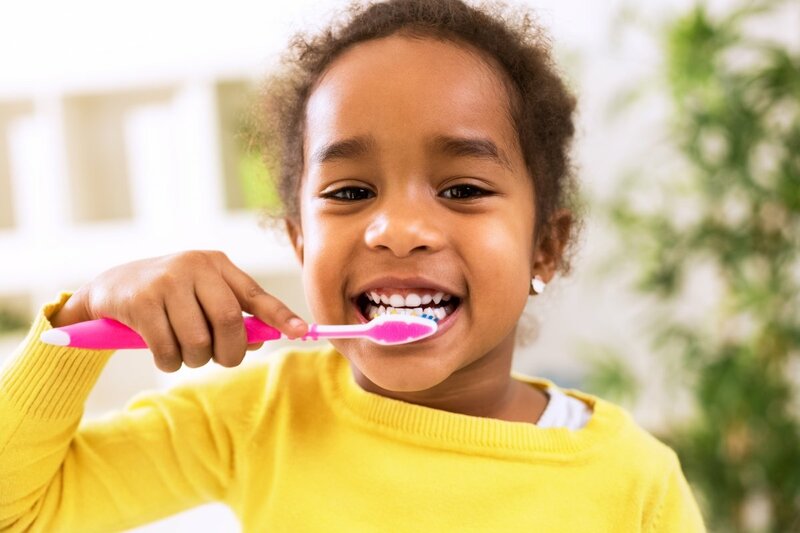 Young patients may be likelier to brush twice a day with a fun electric toothbrush. We provide floss threaders and instruction for the flossing routine, ideally done at night to remove any debris from the day.